She has knowingly welcomed the bright light in a blessed way just as reported! 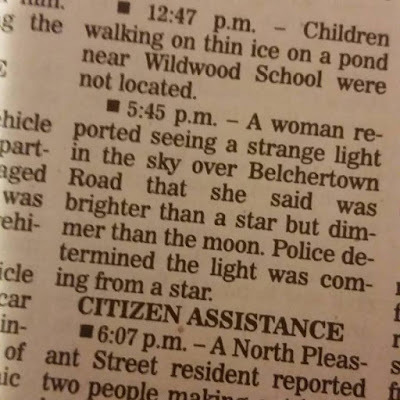 I find the news items to be quite disturbing.. thin ice.. strange light.. but I love how you pulled them together into a poem - such a cool idea. Like the thin ice, there is so much fragility to this poem. Like it's about to slip and sink off somewhere. Very nice. The fickle humors of the gods, to thin the ice under children and then let them be a star to beguile a woman. Enjoyed this creative capture from the news. 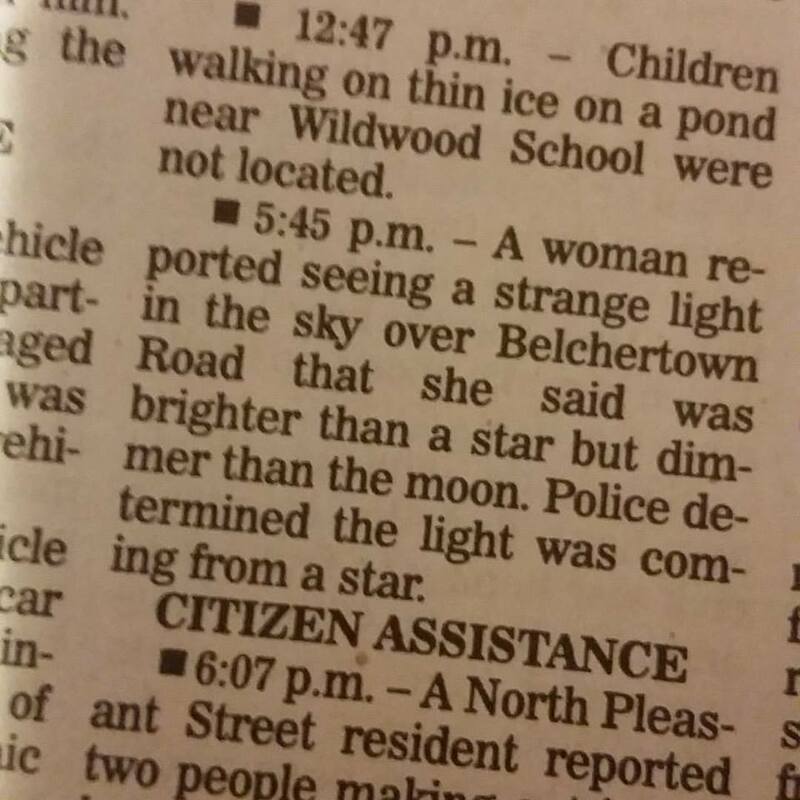 The Belchertown police clever and on the know. Knowing how to keep a worried lady appeased. A perfect pairing, Marian, seeing and saying what the woman in the police blotter yearns for--a welcome. Amen. So great to connect it like that to the news of the day! Yes, I love your connection to the news. I needed this piece of bright light this morning. Thanks again for sharing my photo. Wonderfully short and mysterious and terrific. Thanks! K.